Hartford Financial Services Group, is encouraging transportation companies to use RFID temperature sensors on pallets and cases of perishable products. REAL - Conference " New legal requirements FSMA - FDA / USDA "
Buenos Aires , Friday May 16, 2014 , at the Dolmen Hotel Humahuaca lounge was held the 1st. conference on "New legal requirements FSMA applied to health and control of cold chain during transport their food to the U.S." REAL organized jointly with The Cambridge Business Group. The conference was coordinated by José M. Quevedo Pearson, Member of REAL and LatAm TCBG Manager. The Cambridge Business Group also featured the special participation of Jorge Fischer Zorraquín Agronomist , Agricultural Supervisory Inspector , USDA -APHIS -PPQ to the U.S. Embassy in Buenos Aires and Edgar Vargas, Health Expert , America TransCert Officer. Responsible for sanitizing processes Reefers of U.S. Sanitary Cold Chain and participating in public consultations FDA - FSMA . The conference was aimed at producers, exporters, shippers and carriers of perishable foods and juices bound for the U.S. and was focused on the new legal requirements governing from 2015 shall apply to the joint responsibility of all stakeholders in the supply chain regarding the health aspects and control of cold chain refrigerated during transport from source containers to destination, the risks and challenges of new legislation and the special provisions that shall be specified in the transport and logistics contracts between producer - exporter - carrier and agent. Among those present were officials from SENASA , the Association of Importers and Exporters of Argentina , the Chamber of Exporters of Citrus NEA and the Chamber of Commerce of the United States in Argentina (AMCHAM ). United Fresh Produce Association is the industry's leading trade association committed to driving the growth and success of produce companies and their partners. United Fresh represents the interests of member companies throughout the global, fresh produce supply chain, including family-owned, private and publicly traded businesses as well as regional, national and international companies. The Sanitary Cold Chain has joined the International Halal Integrity Alliance in support of their efforts to establish and maintain specific standards for the transportation of Halal Certified foods. 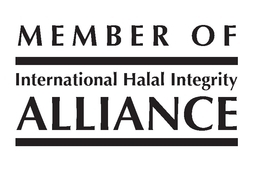 The International Halal Integrity Alliance ("IHI Alliance") is an international non-profit organization created to uphold the integrity of the halal market concept in global trade through recognition, collaboration and membership. The global Halal industry is devoid of a significant non-government organization (NGO) presence or position that can provide accreditation to certification bodies. The IHI Alliance promotes strong food handling and transportation controls. Now is the time to get your transportation capabilities certified. Give us a call today.